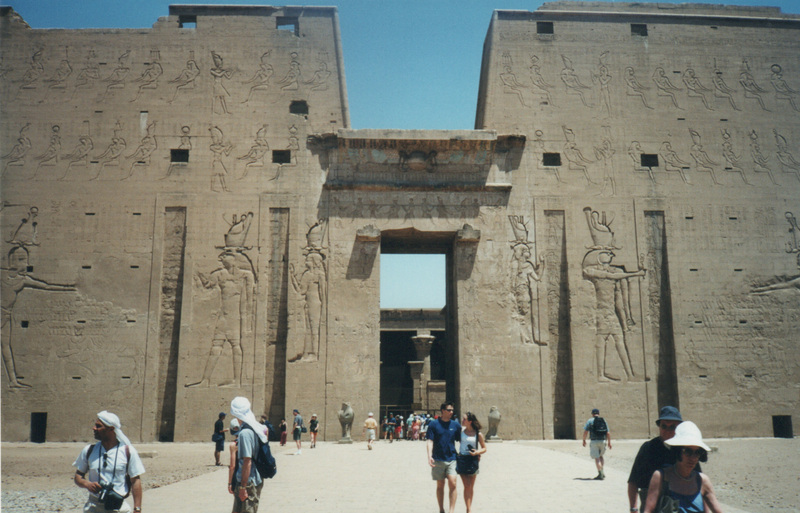 I’m pretty sure somewhere in this blog I have talked about my experiences in Egypt way back in 1999 – that’s last century you know J – and one specific memory of sitting down beneath two giant statues known as the Colossi of Memnon, on a Valley of the Kings tour near Luxor, to change the film in my camera. 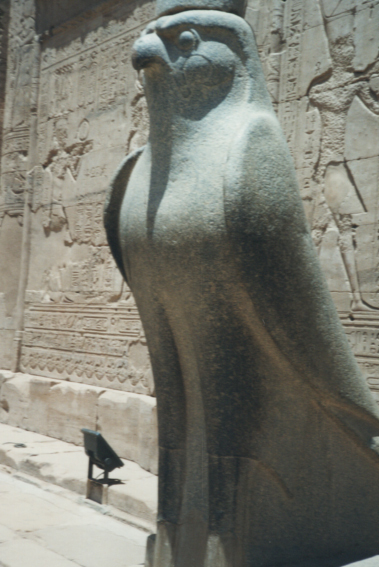 I also put my lonely planet down next to me as I changed the film, got up, took a couple of photos and got back on the bus leaving finished film canister and book where they lay. 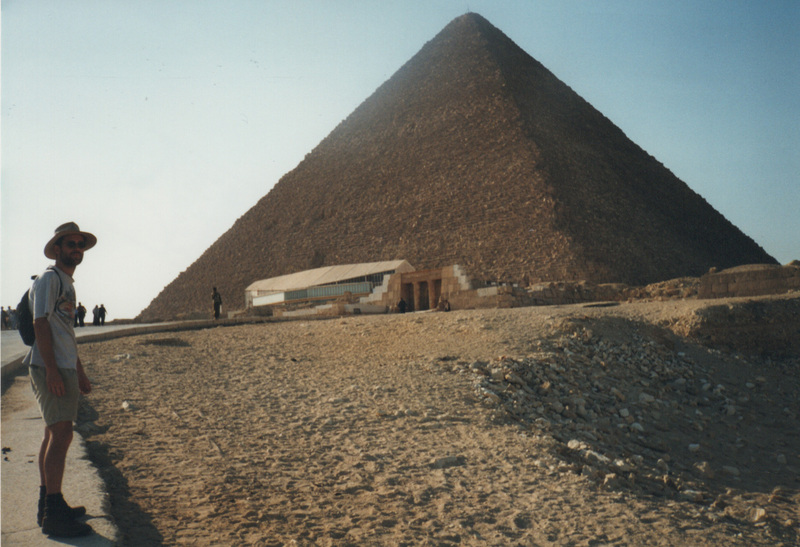 And that meant a whole roll of shots from Egypt were gone forever. Except, and here’s the thing, that recollection is not 100% accurate. Because earlier this week I caught up with my parents and my mum had been cleaning things out and going through old photos. And what had she found? 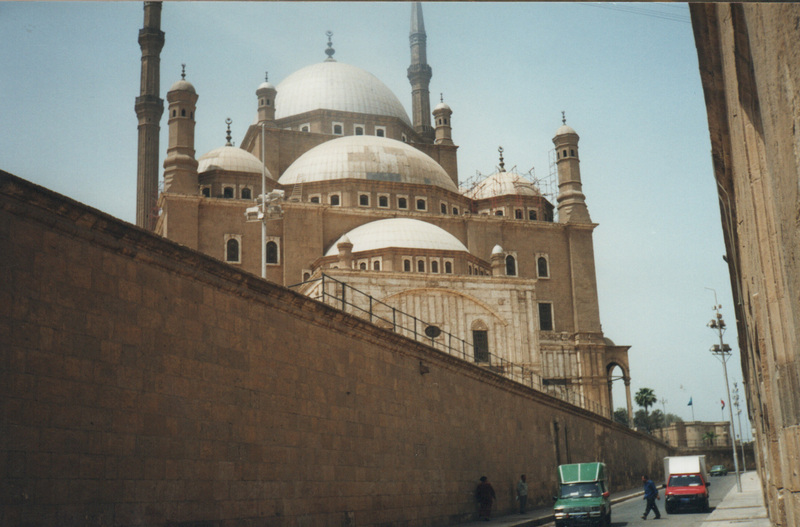 She’d found a packet of photos from Egypt! You see, back in the day we sent our photos through the local pharmacist to be developed, and somehow this lot had got mixed in with my parents’. It’s possible I gave the film to them when in Germany when we met up, and they’d taken it home as I still had months of travel left. Whatever the real story, the thing is that earlier this week I was looking at 19 year old photos I never thought I would see! 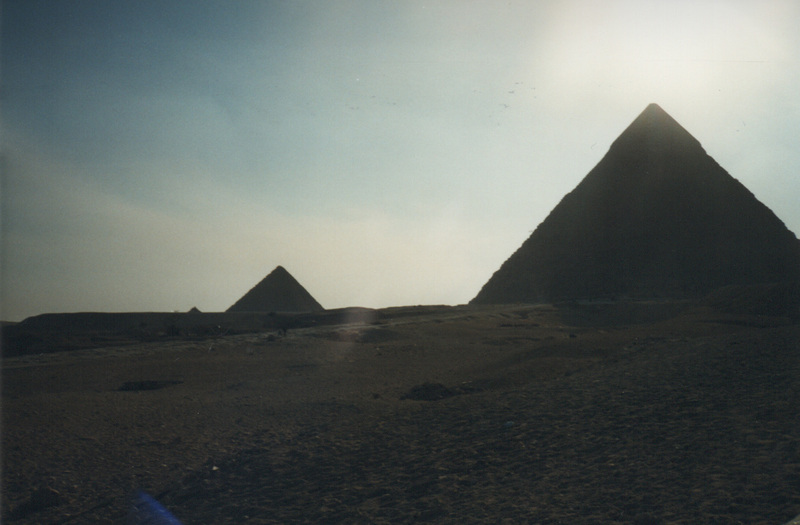 From Felucca trips down the Nile to the pyramids – sadly the Pyramid photos weren’t so crash hot… but I did get some lovely sunset on the Nile shots – tune in this Sunday for those! 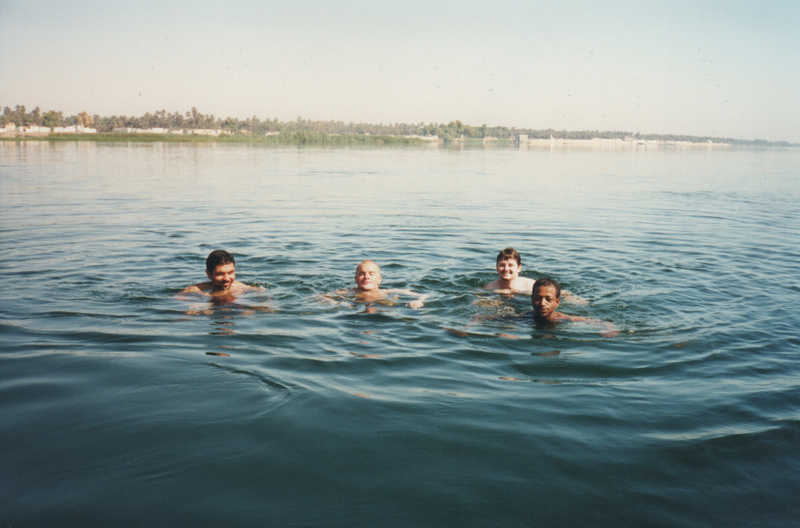 Swimming in the Nile, on my 24th birthday! 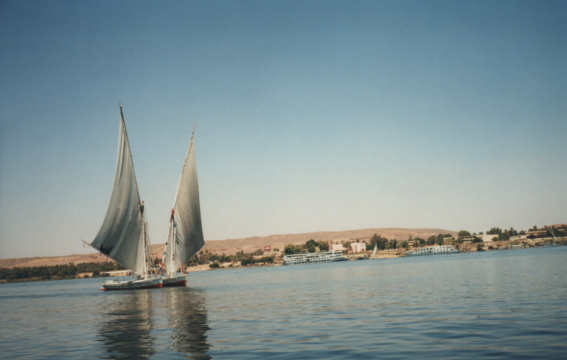 There’s even this one of me, swimming in the Nile on my 24th birthday! I can tell you – I’m pretty stoked! And anyways, here are a few more for you to peruse! 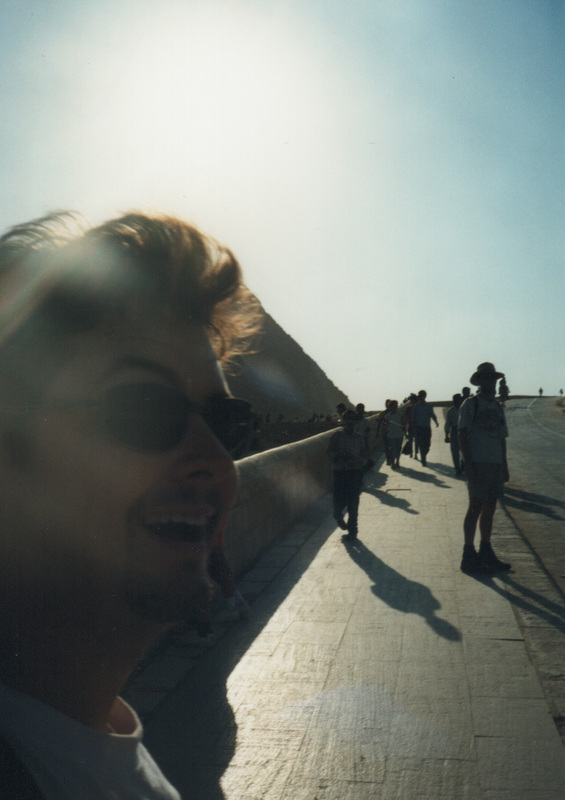 It’s me at the pyramids! Have you ever found something you thought was lost forever? Anything that turned up nearly 20 years or more after you thought it was lost? Please comment! And…. May the Journey Never End – of course! How fun that you found your photos! Like reliving that bit of youth again, right?